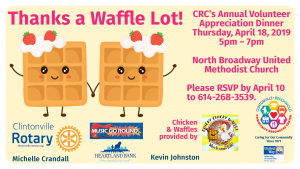 CRC Parking Lot, 3222 N. High St.
Join CRC for our longest running community event! Our 36th annual Pumpkin Patch featuring hand pressed apple cider, food, games, prizes, face painting, pumpkin painting, fall crafts, karaoke and bake sale. Each household that donates three cans of food will receive a free pumpkin! Clintonville Women’s Club, 3951 North High St.
Join the Clintonville-Beechwold Community Resources Center and the Clintonville Area Chamber of Commerce for the Annual Slice of Clintonville.Sample local pizza shops and vote for your favorite. 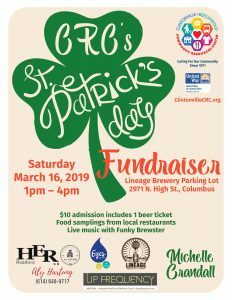 Prizes will be awarded to "People's Choice" by voting and "Celebrities' Choice" by local food celebrities.Lineage Brewing beer tickets $5 each and salad and non-alcoholic beverages will be provided by the Clintonville Woman's Club.Proceeds benefit the Clintonville-Beechwold Community Resources Center and the Clintonville Area Chamber of Commerce. Lineage Brewery, 2971 N. High St.